What is a FlightShield Coating for Newcastle Vehicles? Are you concerned about preserving the paint on your vehicle and keeping it looking like new? 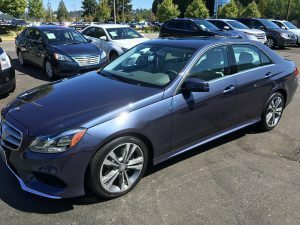 Signature Auto Detail can help with its car paint protection solution. 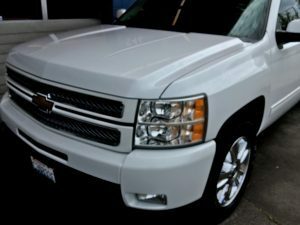 We are an authorized applicator of FlightShield coating for Newcastle, WA vehicles. A crystal clear nano sealing, Flight Shield ceramic coating bonds chemically to the automotive paint and creates an ultra smooth, glossy protective layer over it. The product was initially used by the aerospace industry but later became popular as marine and car paint coating. FlightShield coating prevents harmful contaminants from deteriorating the car paint allowing it to retain the original luster. It also revitalizes the paint by removing contamination and oxidation. Call us today to learn more about this wonderful car paint protection coating and schedule an appointment for its application on your vehicle. Our car paint protection coating keeps your Newcastle vehicle safe from the harmful impact of such elements. Safeguard your car by letting us apply FlightShield coating to your automobile. Why Do Newcastle Residents Choose Us for This Car Paint Coating? At our facility, we value our customers and do not consider any job as too small or too insignificant. 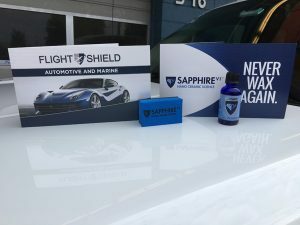 Whether you visit us to receive a car paint protection solution for a luxury sedan or for an everyday budget car, rest assured that the FlightShield coating application will be done in a highly detail-oriented and professional manner. We realize that the car paint coating is an important investment in a vehicle. The people who choose us for car paint coating application on their Newcastle vehicles expect us to help make their investment go a long way. Interested in application of FlightShield car paint coating on your Newcastle vehicle? Get in touch with Signature Auto Detail. Call (425) 687-2700.